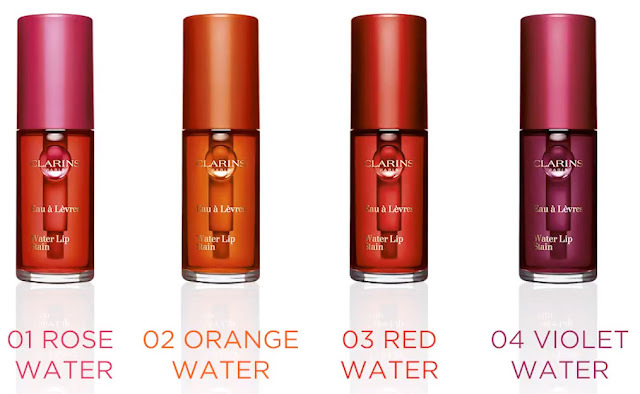 Clarins Water Lip Stain - Water based lipsticks! 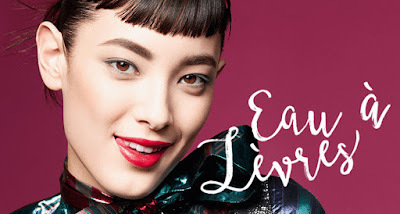 Clarins launches the new Water Lip Stains, water-based lipsticks with a long-lasting formula that can withstand up to 300 kisses! 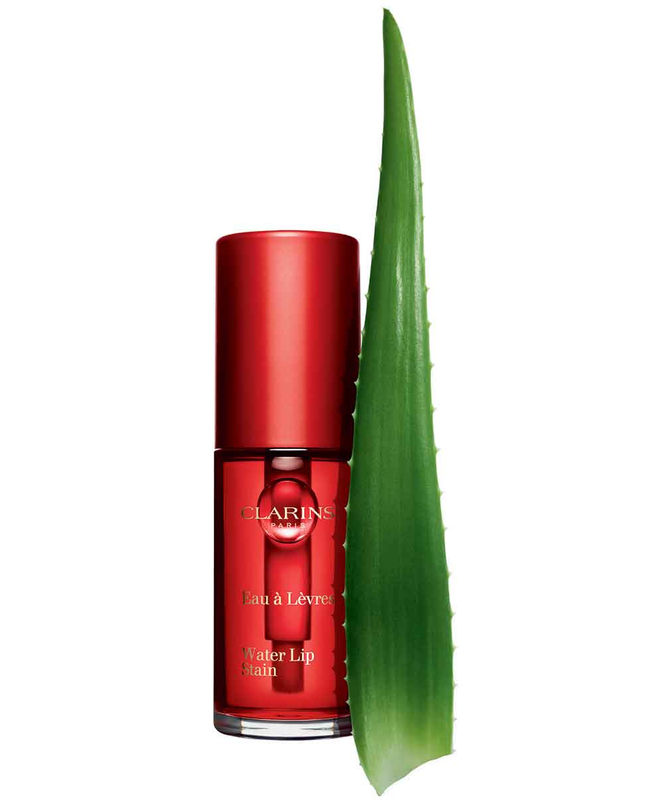 Intense, light and incredibly pigmented, Clarins Water Lip Satin is described as a transfer-proof, long-wearing, moisturizing lip tint, the new Water Lip Stain comes with an exciting promise of lasting up to 300 kisses! 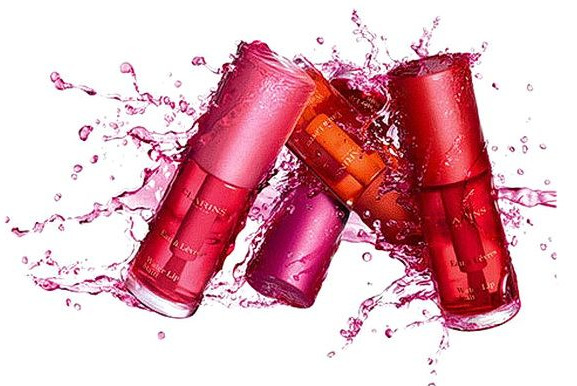 Clarins Water Lip Stain debuts in four 4 intense variations shades, each presented in a convenient cylindrical container with a see-through body and a colored lid. It features a lip-hugging brush applicator that picks up just the perfect amount of color, helping you to achieve precise, mess-free results. The new Clarins Water Lip Stain is formulated with more than 77% of water that blends into the lips like an imperceptible ink, that looks like a tattoo that is imperceptible and comfortable. The presence of bio raspberry water with an emollient action and a soothing bio aloe vera extract protects the lips from external aggressions, helping to make the application comfortable and the velvety finish. The Clarins Anti-Pollution Complex helps to preserve the lips from dehydration, preventing premature aging and the formation of unsightly labial wrinkles. This unique formula is perfectly buildable, allowing you can choose your own level of color intensity! The more coats you apply, the deeper the color appears to be! Wear them on their own, for a transfer-proof matte finish and a second-skin feel, underneath of your favourite lipstick or underneath your Lip Comfort Oil. Clarins Water Lip Stain launches mid-April, available from Clarins , Sephora and leading Clarins counters.